Getting your message out to a new audience can be very difficult. In most large scale situations it can cost a large sum of money per year. If your like me you have a smaller operation and need to find resources that are free. Thankfully my social network Blog Engage will help you accomplish this. Everything I have done to date regarding marketing or promoting has been by myself and my fellow bloggers at little or no cost to me. The only cost is my time and willingness to actively promote the site. The idea’s I share below I did for a large social network but the same can be done for your personal blog. Be specific when you start marketing and promoting. Stay within your niche. I would like to reference an article I wrote in September 2008. It’s a nice list of suggestions you can use to market and promote successfully in any website forum. Website Review Forums – Website reviews are perfect ways to jump start the traffic flow to your website. At this point you should be creating a basic template for a Website review request which can be used with little change at all the webmaster forums your sign up at. Don’t forget in this process you should include a website url to the website under review. If you want to be very specific you can ask for reviews on multiple pages which have minor differences in design and or reasoning. Domain Name Appraisal Forums – Another great reason to post a website url. Simply ask the members to appraise the domain name and when adding a live link 99% of the time they will also visit your website! Trust me add the link these guys giving free review are deadly bored think about the service there offering for free! Use a similar script as mentioned in the above paragraph and make minor changes for each forum. Freebies – If you are offering any sort of free services or products (or seeking them), this is the only place those offers should be posted. Remember to always add your url when offering these services especially if it involves your website. Content – Users buying and selling content (including databases) can conduct business here. This is another forum you should be adding your url too and again especially if it’s pertaining to your website! Templates – Post your url when asking for custom or free template! Make sure the members know what website you are looking to replace the current template on. Services – Offering free services on your website? This is the forum you should be posting inside. Always add the url where the free services are located allowing you to gain another back link and increased traffic. Link Exchange – This is another great way to get a back link. Post your url and offer a link exchange with other webmaster forum members. This will generate a nice wave of website traffic as all people willing to link exchange will want to see the website there dealing with. Link Sales – Selling links from your website? Have an empty sidebar you don’t know what to do with? Again this is another forum for yet another back link. Post your website url and sell your link spots! Contests – Everyone loves contests but we can’t join if we don’t know what website is offering the contest so yup, another back link opportunity! Post your website url and tell all webmaster about this awesome contest! Take it into consideration and start implementing it! This is the way of webmaster forums and if done right you will gain traffic and new blog readers. I also have another post to reference here on the site. This will help you decide where to market and promote your blogs using the tips I have added. Hey Brian – Really solid networking tips! I wanted to also let you know that v7n.com is a great, great webmaster forum that is dofollow and blogger-friendly, so I thought I would add that one! These are excellent tips Brian.. for a newcomer like me, these are very useful to jump start my blogging venture. But I think I have to make my blog more presentable if I want to post of website review forums and submit it as entry to contests. Thanks for the wonderful advice! First your theme style rocks. I love it. Second, the post here totally rock and rolls 🙂 thanks a lot for this freaking ideas. Tinh recently posted…GoDaddy Is Up For Sale That Could Fetch Over 1 Billion! You are right there are ways to reach out to other bloggers particularly if you have a certain budget you need to stick to! This is a great post Brian! I agree with your tips. In order for a blog to have a wide base of readers, the content must be beneficial and interesting. That way, people will always come back to read your next post. I totally agree. Forums are a great way to meet people and network with other bloggers as well. You listed some places that I have not joined yet so I’ll be on the look out for new blogger relations too! Brian your tips are really nice and your idea is good for those new user that wish to do something on the internet . I already signed up for some forums you’ve mentioned above. Your tips are amazing and I can’t help myself but be amazed to know the ideas you have. Keep it up! I like Digital Point because with that, I can getting a lot of traffic. 1. I don’t think website review forums would really help building “genuine readers”. mostly they could be one time visitors. 2. 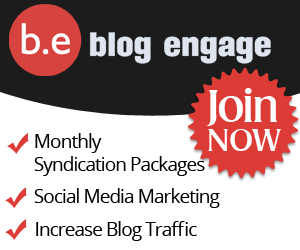 According to me, best way to build traffic is engaging with other similar blogs. Either by guest post or through another way. You can submit your content in blog directories.You can have blogger and blog.com.The more links you post,the more traffic you will get. I added a few of my older posts into a wrap up showing you some great tips on how to gain new readers and increase your blog traffic….